The holy trinity of IDM music are surely Boards of Canada, Aphex Twin and Autechre. It is entirely possible, however, that you might never have heard of all three of them and barely listened to any of their music. If we were speaking in 2011 that would have also been true of me so this is perfectly fine. These are not mainstream acts and its very possible that they have passed you by. All three of them are private and secretive. They do not seek fame and share a liking for the shadows (not the 1960s guitar combo!) and obscurity. All three acts are seemingly quite prodigious and you get the impression that all of them are always working on new music. I like to see all three (and many others besides them) as simple music experimenters. You never get the impression that they are going for a particular thing when they work. They just do stuff and something happens. Perhaps the albums they put out are merely arbitrary choices from their experimentations. None really so much as do songs as pieces of sound. Boards of Canada are perhaps the most melodic of the bunch here and Autechre, my subject today, the least. Last week Autechre, from northern England, released their 12th studio album which was actually in 5 parts. It's being known as Elseq 1-5, a typically obtuse title from a band known for being obtuse about titles. It is already pointed out by fans (who are obsessive, nerdy types) that L is the 12th letter of the alphabet. "Seq" could be short for "sequence" and there are 5 albums. So maybe that has something to do with the name. The album in five parts runs to over 4 hours of music and contains songs with names like 13x0 step, c7b2, acdwn2 and spTh. Not very catchy. Three of the tracks run to over 20 mins but the average is around 11 minutes. This is not pop music intending to capture your attention for 3 or 4 minutes. In fact, in its specifics it is unremarkable. Only the overall effect remains. All the tracks are sound collage. For those not familiar with the sound of Autechre let me try to describe it. The music of Autechre evades description. This is not very helpful. In many respects Autechre's sound has developed into a kind of anti-music. There is often no melodic structure or harmony. It is pure sound collage where timbre is uppermost. But it is also a rhythm collage at the same time. But these rhythms may not be regular and the glitch or stutter is a common occurrence. If you know of the music of the German experimenters of the 1970s, Cluster, then this is very much like their early work in abstract sound but as done by two guys (as they are) who grew up listening to Electro and breakbeats. Indeed, I see much in common between a band like Cluster and a band like Autechre in that experimentalism is all. Its only context that is different. Autechre began in the 1980s when new electronic music technology had given musicmakers viable consumer level drum machines and synthesizers. This influenced what they could make in new ways, ways the 70s bands didn't have available. 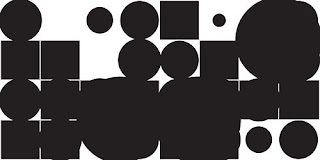 Autechre's first album, for example, was more melodic and regular and suited to its immediate musical context. But as they have gone on, now for almost 30 years, they have become more and more abstract... now almost to the point of noise at times. And they have continued using technology to create things that couldn't be done before. It will be no surprise to regular readers of my blog or to listeners of my music that Autechre interest me. Making electronic sound collages is basically what I do myself so I feel some affinity to what they are doing. We are also pretty much the same age and from broadly the same area. So, in some senses, they are me and I am them. (Aphex Twin and Boards of Canada are around the same age as well. Maybe this is a generational thing.) This psychological reason to like them aside, what draws me into their music? I think it is the very fact of its abstraction. From its birth in experimentation without direction to the almost arbitrariness of the results (I refuse to believe they ever set out to give listeners specifically what they produce) to the fact that these tracks on an album are basically unrepeatable (I have no idea how you could notate or reproduce their music and even less idea why anyone would want to) everything about their music as a thought process seems open and directionless. Or random. This is music that is a blank page and provides room for thought. It also seems to be music without rules, electronic free jazz in which you go where you will, music that ignores what some people think should be done in favour of letting it go where it goes. Autechre will never be "top of the pops". I suspect that's the last thing they would want to be and, in exchange, they have become a cult band. This aspect often annoys me. As with Aphex Twin, who to many is some kind of electronic god, it gets annoying when people come along and tell you that so and so are completely original and no one or nothing is like them. This betrays the speaker's lack of historical perspective for no one comes from a vacuum. When you hear Autechre's backstory it seems quite logical where they came from and why they make the music they do. I don't see them as unique. They are just a couple of guys with a similar background to other guys who do similar things. Without wanting to be brash, much of my music from this year could easily be confused for Autechre. If someone told you it was then nothing about it would give its origin away. The truth is that at any one time thousands if not millions of guys in their 30s and 40s are doing exactly the same as Autechre are doing and probably for much the same reasons. (And that's to forget the younger kids who are doing it too.) Autechre are just the guys you know about. The rest of us aren't. So what of Elseq 1-5? Its frenetic, abstract bricolage. Its a cavalcade of textures, timbres and moods. There are no "stand out tracks" because its not that kind of music and the vocabulary of pop is alien here. For me Autechre is about a mentality and this represents that mentality well. If you can tune into it it will be very rewarding. The thing is, with it being so "anti-music", as it were, many will get dissuaded from listening before they have chance to get into it. You cannot judge a 4 hour project on a 30 second listen though. To listen to Autechre you may have to throw off convention and unlearn what you have learnt about music from being spoon fed what those in the middle of the road want to serve up to you. (Thats my pretentious bit of the blog over.) If you can find a place inside you for listening to electronic sounds (dis)organised by two guys from England then this might be for you. I personally find it incredibly exciting. Each track is a journey with an unknown starting point and an unknown end point and I see that as a metaphor for life. I'm not too shy to say that this music represents for me various ideas I have about life in music - chaotic, random, varied. So to listen to this is, for me, to open up my mind to the possibility of falling into that as well. You owe it to yourself to listen to Elseq 1-5 once even if you never do so again.